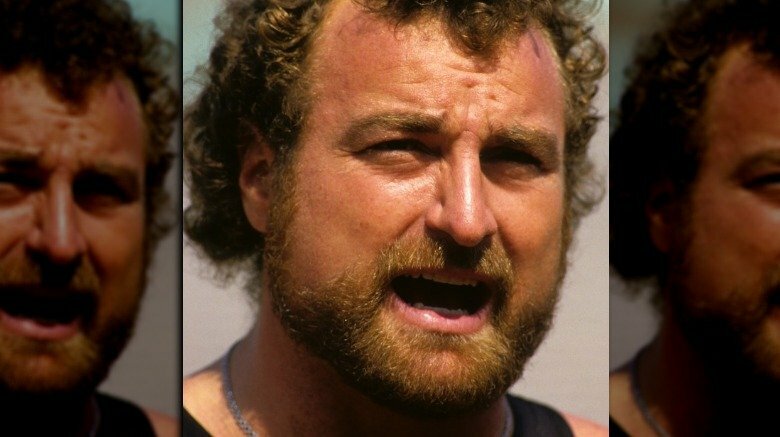 If you were an '80s kid and you didn't know about John "The Tooz" Matuszak — who was just as famous for his hard-partying, loud, larger-than-life persona as he was for his football game — you definitely knew about his alter-ego, the enormous, gentle, unconventionally-featured Sloth, who was the face of the 1985 classic Goonies. 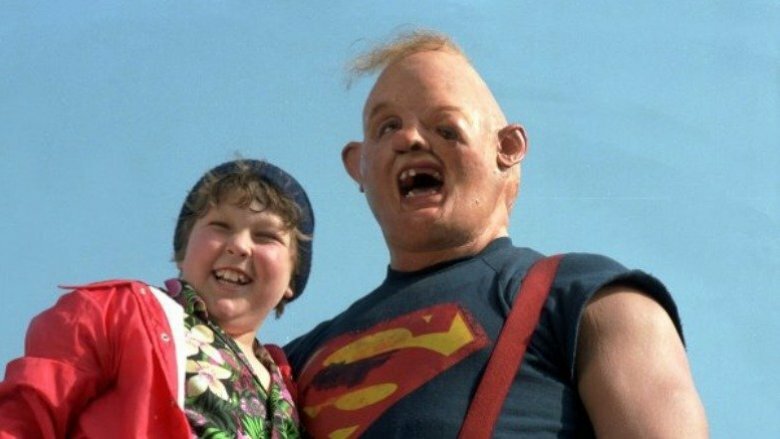 Sloth was a 1980s icon, as beloved as E.T. and as recognizable as Indiana Jones. But the man who played Sloth led a troubled life. Family tragedy followed by early fame set him on a course of self-destruction that ended in his sudden and unexpected death at the age of 38. 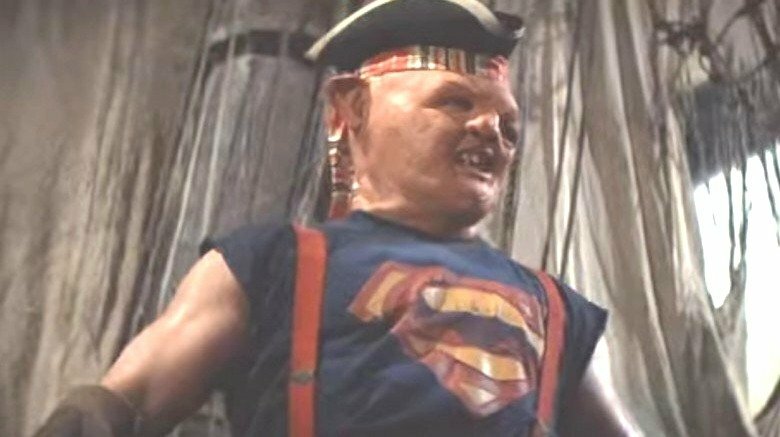 In a lot of ways, Sloth was not just the on-screen alter ego of the former football star, he was the actual manifestation of the person Matuszak was on the inside: a lovable giant who was also a generous friend. Unfortunately, though, for the real Sloth there was no happy ending. 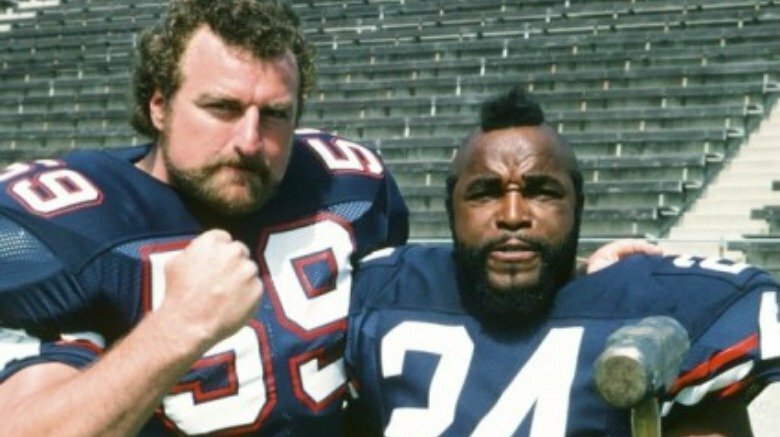 John Matuszak's childhood was full of grief and misfortune. Cystic fibrosis, a genetic disorder that affects the lungs, took two of his siblings and sickened his younger sister, Dawn, who died in 1991, just a couple years after her superstar brother. Matuszak was the only surviving son — one of his brothers died at birth, while the other only lived two years. In his book about sports heroes, John Schulian wrote that after the death of his 2-year-old brother, Matuszak, who was 12 or 13 years old at the time, took it upon himself to buy shoes for the child to be buried in because he heard his mother crying that her son's feet were too swollen to fit into the pair he already owned. Matuszak was devoted to his family and, according to United Press International, spent a lot of time visiting his sister when she was in a Milwaukee hospital struggling with her disease. At his funeral, his pastor noted that he'd often donated time to the Cystic Fibrosis Foundation. Kids are mean. It doesn't matter if you're too short, too tall, too fat, or too skinny — they're going to find something about you to pick on. As a kid, Matuszak was still growing into his body. He was gangly and tall, but hadn't yet developed that football player physique, and that made him an easy target. According to the LA Times, after the Matuszak family moved from downtown Milwaukee to the village of Oak Creek, Matuszak would often come home from school crying because the other kids were picking on him for being a "gawky beanpole." The bullying was part of what inspired Matuszak to become an athlete — a tall, bulky, football player is a whole lot less vulnerable to ridicule than a tall, skinny, beanpole. 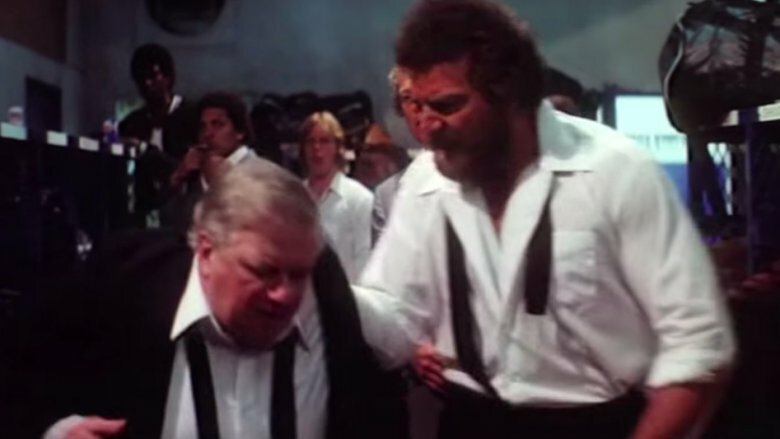 So in a way, those mean kids gave the world "The Tooz," the guy who would not only become one of the NFL's most charismatic football players, but also one of the most memorable movie icons of the 1980s. To his family, Matuszak was known as a gentle kid with a heart that matched his size, but his past experiences with bullying contributed to his public persona — mean, prone to angry outbursts, and larger-than-life. According to the LA Times, during his sophomore year in college, Matuszak played reserve tight end on a football scholarship at the University of Missouri, but his career there was short-lived. At a fraternity party, he punched another student in the face for "fondling his date," and then inexplicably tried to make it right again not by apologizing for his conduct but by insisting that he hadn't meant to hit the guy as hard as he did. You know, the ole "I only meant to give him a black eye, not break his whole nose" excuse. The university didn't like that, and revoked his scholarship. After that he ended up at the University of Tampa, where he became an All-American and was eventually the No. 1 NFL draft pick in 1973, thus proving that it's okay to mess up someone's face as long as you didn't actually mean to mess up his face, and as long as you're really, really good at football. During his second season with the Oilers, Matuszak got restless. Or something. No one is really sure. Even though he was under contract with his current team, he decided to sign a second contract with the Houston Texans in the World Football League, which seems a bit logistically problematic, but he was The Tooz, so maybe he just figured he could pummel his way through any and all consequences. The Oilers were unsurprisingly unimpressed, and the LA Times said they even went as far as sending a team of lawmen to a football game to chase Matuszak around the sidelines with a subpoena. After that, Matuszak was traded to the Kansas City Chiefs, who traded him to the Washington Redskins, who cut him just two weeks later, at the end of the 1976 preseason. Why was his stint in Washington so short-lived? "Vodka and Valium," coach George Allen explained, "the breakfast of champions." So even then, The Tooz had a reputation for drink and debauchery, though it would only get worse as the years passed. After Washington showed him the business end of the cleat, Matuszak was a free agent, and the Oakland Raiders were kind of desperate. Three of their defensive linemen had suffered season-ending injuries, and they needed a big player to keep them competitive. Matuszak was 6'8" and 280 pounds, so they pretended they didn't know about the vodka and Valium and made him a Raider. "When he arrived," coach John Madden told ESPN, "I wasn't about to talk to him about his past. … If you know too much about a guy, you tend to prejudge him, to hold his past against him." The gamble paid off. In Matuszak's first season, the Raiders won their first Super Bowl title, and Matuszak played a big part in that victory. But afterward, he gradually began to fall back into his hard-partying ways. The Raiders had to assign a 22-year-old front office worker to literally move in with him and keep an eye on him — fellow player Pat Toomay called the job "Keeper of the Tooz." In 1981, Matuszak made headlines for partying the night before the Raiders' second Super Bowl victory. In 1986 a male dancer accused him of assault and sued him for $1.5 million. (The judge ultimately ruled in Matuszak's favor.) He always played well, though, so he managed to get away with all the hijinks. Matuszak's personal life was also affected by all the hard-partying. In 1974, while he was still playing for the Kansas City Chiefs, he upset his wife, so she tried to run him over with their Cadillac convertible. According to author Kevin Cook, Matuszak fled to a nearby cemetery and hid behind a gravestone. After his wife forgave him for whatever transgression had been worthy of turning him into a rubber-stained, 280-pound pancake, they had a round of makeup love in the Chiefs' locker room. Later, Matuszak celebrated with Chivas Regal and prescriptions, and then passed out. His teammates tried to rouse him, but he was unresponsive. Paramedics attempted to perform CPR, but Matuszak's chest was so huge it was "like hitting a rock wall." Ironically, it was Paul Wiggin, the Chief's coach, who saved his life — and then traded him to the Washington Redskins just seven days after he was released from the hospital. Wiggin got into the ambulance with Matuszak and pounded on his chest until he came around, accomplishing what the paramedics could not. Also, during his stint with the Raiders, Matuszak enjoyed a breakfast of bagels and Cheez Whiz, and also drugs. According to the team physician, a lot of his teammates joined him with the drugs — the bagels and Cheez Whiz were just a Tooz thing. Like most children and people who don't ever really grow up, Matuszak never took responsibility for any of the crazy, dangerous, and irresponsible things he did. In his autobiography — playfully entitled Cruisin' with the Tooz even though it was basically a story of horrible tragedy, addiction, and the pending downfall of a talented human being — Matuszak described six car accidents that resulted in convictions. According to the LA Times, he had an excuse for all of them, ranging from swerving to avoid a child to not knowing there was marijuana in the car. Ex-fiance Stephanie Cozart once told Matuszak that his undoing was his failure to accept responsibility for pretty much everything that happened in his life. "It was never his fault. And it never had anything to do with the fact that he was high." 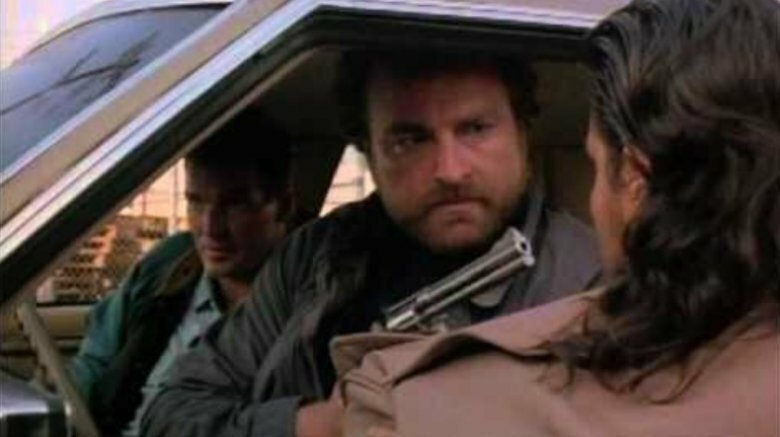 In 1987, Matuszak got in yet another car accident, but instead of exchanging insurance information — which would have been perfectly cordial given that Matuszak was huge and anyone who was on the receiving end of a fender-bender with the guy would have almost certainly been really understanding — Matuszak decided to punch the driver and leave the scene. He pleaded guilty, but then told a reporter: "Some guy purposely caused an accident." So, no lessons learned. In the world of professional sports, you can get away with a lot once you've proven yourself. During his days with the Raiders, the team mostly turned a blind eye to Matuszak's antics. And when he misbehaved so blatantly that they couldn't really ignore what he'd done, they usually just laughed about it. According to the LA Times, in one incident, The Tooz got into a semi-kidding argument with assistant coach Terry Robiskie, who was also a former teammate. The argument escalated, and then Matuszak slapped Robiskie, grabbed him, and shook him. Now imagine a Rottweiler doing this to a beagle and you might get some sense of the size difference between the two men — Robiskie was a full 70 pounds lighter than Matuszak, so the smaller man responded violently: by grabbing a metal crutch and breaking it over the larger man's head. Instead of cracking down on the instigators, the Raiders decided to memorialize the incident by hanging the broken crutch on the wall with the label "'Biskie's Tooz Pick." It might as well have read, "Go ahead and rough up some more people because we think it's funny." And so Matuszak kind of just went on like that for most of the rest of his career — brawling, getting in trouble, being forgiven — things only celebrities can get away with. In the midst of all of this, it's worth remembering that John Matuszak had a big heart. He was a brawler, a partier, and a guy who didn't want to take responsibility for his actions, but he loved children and he was known for his generosity. 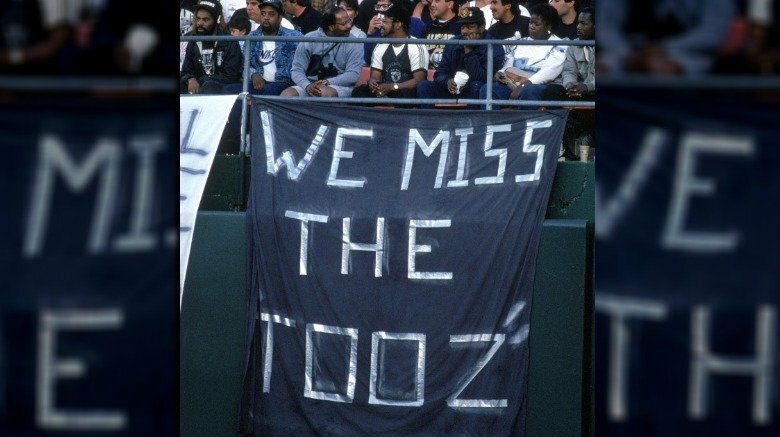 Mike Ornstein, the Raiders office worker who'd been assigned "Keeper of the Tooz," remembered his softer side: "He was a very, very good person and he had a great heart for kids." Matuszak often visited sick children — in one case, he gave his football jersey and helmet to a cancer patient at Children's Hospital, and visited the sick boy every day for nearly a month. One local remembered him pushing aside the town's mayor so he could sign an autograph for a child. 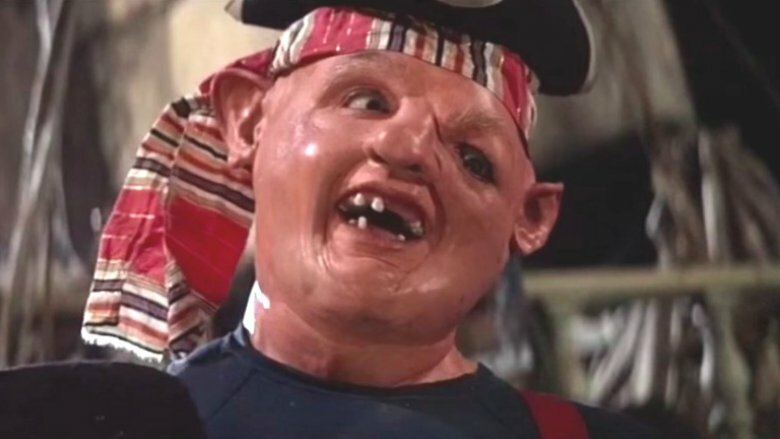 His castmates on Goonies remembered him as a "sweetheart." 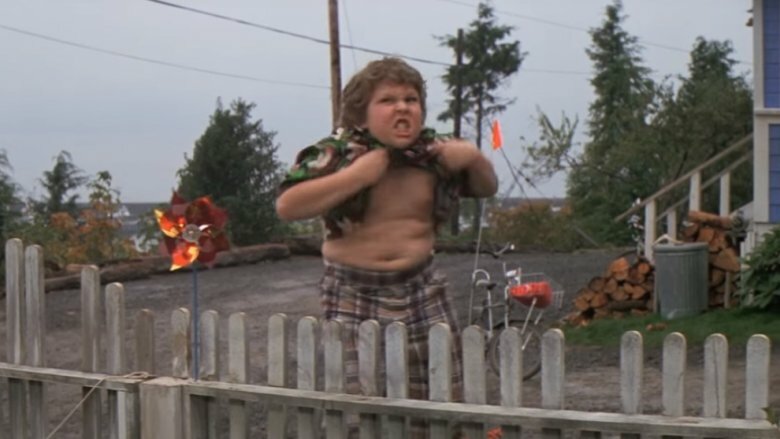 "John was really nice to me and it was fun to work with him," said Jeff Cohen, who played Chunk in the iconic film. "But it's funny, when I was a teenager and I would start to watch the old NFL films and they would have films of John playing for the Raiders … he would just terrify people on the field, which was totally shocking to me. 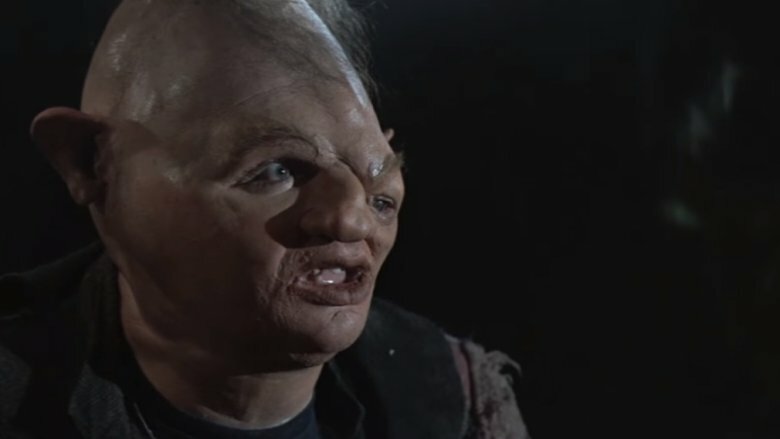 I knew him as Sloth, the nice, lovable giant." 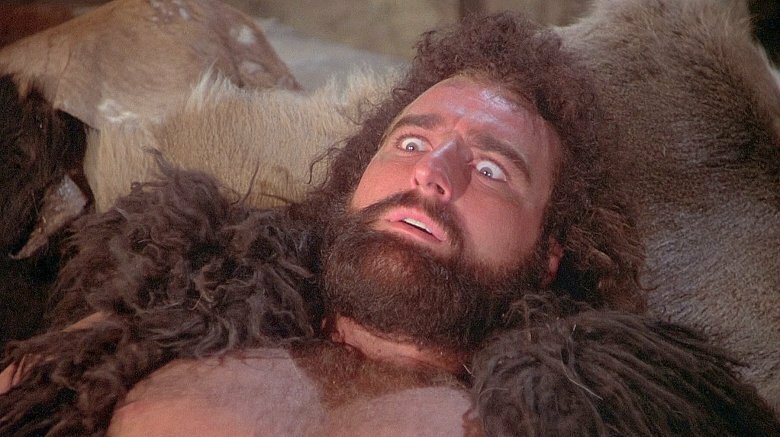 After an injury, Matuszak sat out the 1982 season and then decided to retire from football and pursue an acting career. And just in case there wasn't already enough tragedy in this story, here's an extra helping of it for you — football injuries require pain medication, and Matuszak was one human being who should have stayed as far away from pain medication as possible. After his injury, he had an excuse and a prescription, and that's what ultimately led to his death in 1989. After the coroner's report was released, his parents admitted that their son used prescription and illegal drugs to try to cope with chronic back pain. "At the proper time, we will have things to say about substance abuse and the scoundrels in the medical profession who recklessly dispense prescription drugs and the parasites of society who distribute illicit drugs from back alleys to fashionable condominiums," they said in a statement. But it's also true that it wasn't just the pain that led to their son's struggles with illegal and legal substances — years of hard partying and drug abuse had steered him too far down a path that was extremely difficult to come back from. Even Matuszak's fiancee Stephanie Cozart couldn't convince him to stay clean. In the LA Times' 1989 tribute to the deceased football star, she remembered the number of times he committed himself to rehab and then walked out before completing the program. In the CareUnit at Cedars-Sinai he left halfway through a one-month program and headed straight for a doctor's office, where he tried to obtain a prescription. Later he joined Cocaine Anonymous (CA), and then Alcoholics Anonymous (AA). "I have a little velvet box at home," Cozart told the LA Times. "It's full of 30-day and 60-day chips. They give those out at the [AA and CA] meetings. His big goal was to get a 90-day chip … and he never got one." Cozart had a wedding dress and the stamps were on the invitations, but she called off their wedding when Matuszak failed, once again, to meet his 90-days-sober goal. She later promised him that she'd set another wedding date when he finally got a 90-day chip, but he always failed. Once, he stayed clean for 89 days, and then fell off the wagon just one day short of his goal. "I ordered a cake," said Cozart. "I was going to have it presented to him at the meeting. It was like a milestone for him. And he couldn't make it." Some people mellow out with age and outgrow their old, destructive ways. But Matuszak was only 38 when he died, so maybe he needed a few more years. We won't really ever know because he never got a chance to grow older and wiser. In 1989 he accidentally overdosed on Darvocet, a combination of Tylenol and a painkiller called propoxyphene. Propoxyphene is considered a "mild narcotic" and is less addictive than similar drugs, probably prescribed to Matuszak in light of his past abuses. Unfortunately, he probably took too much of it precisely because it was "mild." According to the New York Times, the coroner's report also listed bronchial pneumonia and an enlarged heart as factors that contributed to his death — the latter is sometimes associated with steroid abuse, though his friends and family insisted that was one vice he'd never had. Instead, it's almost poetic to think that his large heart was actually literal. Unfortunately, The Tooz's big heart just couldn't handle all the excesses it had been forced to endure over the far too-short life of the man it belonged to.